The Ayasdi Collaborations Program was created to help society by collaborating with leaders in academia, foundations, NGOs and non-profits. We want to do good and do it well. To learn more, email collaborators@ayasdi.com. As one of the largest medical genetics centers in the United States, we conduct pioneering research to identify the genetic susceptibilities– or predispositions– of many diseases, including cancer. Ayasdi has already helped us glean new insights that will lead to breakthrough drug discoveries. The Lawrence Berkeley National Lab conducts unclassified scientific research in all realms of scientific investigation for the Department of Energy. The Austere environments Consortium for Enhanced Sepsis Outcomes (ACESO) aims to improve survival for patients with sepsis in austere settings through the development of host-based diagnostic and prognostic assays and evidence-based clinical management algorithms. We are using Ayasdi to look at temporal patterns in earthquake occurrence. We are also exploring event patterns for other natural hazards, including landslides, floods, and wildfires, including their interactions in space and time. The ability to conduct high-throughput RNAi studies yields the opportunity to better understand biological processes beyond the rudimentary gene-level. This collaboration leverages TDA and RNAi screens to discover insights in pathway interactions that were not previously known. 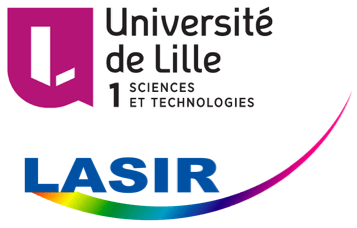 LASIR Lab in the University of Lille is exploring complex chemical / biological samples with various molecular spectroscopies. These researchers have developed around a long time chemometrics tools (i.e. multivariate statistical tools) in order to extract latent information from big spectroscopic data sets. Because the new paradigm of TDA represents a real breaking point, they actually study its potential in hyperspectral imaging and time-resolved experiments.